As a Senior Consultant at KBRS, Peter is a highly dependable, accountable and consummate professional with extensive experience in career transition consulting and coaching. Peter has over 25 years of professional work experience, as an entrepreneur, manager and business leader in the IT, financial services and career transition industries. With a personable approach and a sincere commitment to client success, Peter works with those in career transition to navigate their options and help them achieve their career goals effectively and efficiently. 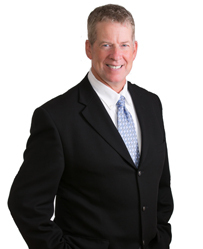 Peter holds a Bachelor of Science from Mount Allison University, achieved PMP designation, and holds a Strategic Intervention Coaching certification from Robbins-Madanes Training. With a passion for people, Peter has a long track record of contributing to his community, including roles as past Chair of the Amherst N.S. YMCA and board member, as well as member of the Greater Moncton Chamber of Commerce where he was Chair of the Small Business Committee. He currently volunteers his time as a Field Team Leader with the Tri County Ground Search & Rescue. In his spare time, Peter enjoys quality time with his wife and two young children.